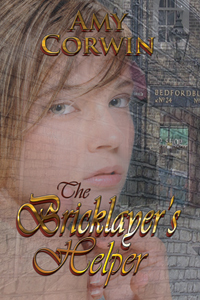 I’m often asked how I came up with the idea for Sam/Sarah in my latest Regency, The Bricklayer’s Helper. Really, it was very easy after discovering and becoming absolutely fascinated by the life of Catherine Wilson. In fact, I “stole” from many of the facts of Catherine’s life and here’s her real story. Catherine Wilson was born into a well-respected middle-class family in Perth. When she was fourteen, her parents passed away, leaving her without family or any means of support. Despite her grief, Catherine kept her wits about her and embarked on a new life…as a boy! She donned her deceased brother’s clothing, adopted the name of John Thomson and went forth to seek employment. Initially, she found work as a herder/grazier to some local cattle farmers. After several years, she accompanied the cattle to Hallow Fair in Edinburg and left the life of grazier to seek more profitable work as a stable boy to a Mr. Lawson. She did so well that she was offered a job as a groom and foot boy to J. Williams, Esq. This new job suited her very well and she stayed there for two years until she pissed off J. Williams and he fired her. She then got a job in Leith and found rooms for herself in a boarding house run by Mrs. Gray. It wasn’t long before Mrs. Gray discovered that John Thomson was in fact a woman. Now Mrs. Gray had a daughter who was messing around with the butcher and soon found herself pregnant. Furious, Mrs. Gray decided to blackmail “John Thomson” by threatening to expose him as a her unless “he” married her daughter so that the child would not be born out of wedlock. At that time, a woman masquerading as a man risked deportation if the masquerade was discovered, so the threat did have teeth. 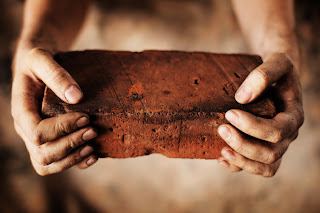 However, John/Catherine did not want to marry her landlord’s pregnant daughter so she fled to Edinburgh where she took a job as a bricklayer’s helper. But Mrs. Gray wasn’t about to let a good thing slip out of her hands, so she hounded John/Catherine and even wrote a letter to the bricklayer who fired John/Catherine for “his” depraved behavior in refusing to “do the right thing” and marry the pregnant girl. Finally caving in, John/Catherine married the girl but soon found it beyond her capabilities to support her mother-in-law, wife, and a young baby. After two years, she gave up and confessed to the parish officers that she was, in fact, a woman. Catherine finally escaped to Glasgow and took a job—as a woman—at one of the factories in that city. The real story sounds even more bizarre, if anything, than mine, but it certainly highlights that absolutely anything is possible! What would you do if you were a young girl, orphaned during the early years of the 19th century? When Sarah finds herself orphaned after a suspicious fire burns down her home with her family trapped inside, all she can remember is the warning to “run and hide.” And hide she does. 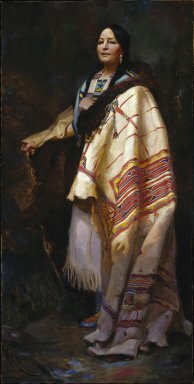 She cuts her hair and dons the garb of a young boy, hoping to survive on her own. In this disguise, she’s obtains a job as a bricklayer’s helper and remains safe for thirteen years. When work takes her to London, a man from her past recognizes her and arranges a meeting, only to be murdered before they can speak. Desperate that she may be vulnerable, Sarah hires an inquiry agent from the Second Sons Inquiry Agency. However, the inquiry agent, William Trenchard, is far too attractive for Sarah’s taste. In her experience, handsome men can rarely do more than fumble their way beneath a lady’s skirt, but she fears he may be her last chance. But William is determined to solve the mystery and ensure Sarah does not become the final victim. Unfortunately, their decisions may prove to be downright fatal. Writing is the greatest invention in the world. Coming from a man who spent barely a year in a one-room schoolhouse, these are profound words for authors to read. Born poor on this date in 1809 in Hardin County, Kentucky, Abe Lincoln was no slouch at writing despite his minimal education. As a young politician, he wrote speeches in the long, ornate manner popular in the day, but he eventually simplified his style in deference to ordinary people. The glorious, unforgettable Gettysburg Address, delivered on November 19, 1863 at the dedication of Gettysburg National Cemetery, is less than 300 words in length. But some of his phrases changed America. "...a new nation dedicated to the proposition that all men are created equal." "This nation, under God, shall have a new birth of freedom...." "government of the people, by the people, for the people, shall not perish from the earth." Throughout his life, he read every single speech to his wife Mary before a public presentation of it. Mary's wealthy parents had strongly opposed the marriage, and it's claimed the union was tumultuous, but she is often considered one of Lincoln's trusted advisers and confidants. Of the four sons born to them, only one survived into adulthood. Although detractors considered Lincoln coarse and vulgar, referring to him as "the ape baboon of the prairie," his rustic manner, wit and wisdom were highly regarded by the literary greats of his day, including Walt Whitman and Nathaniel Hawthorne. (If you haven't yet read Whitman's "O Captain, My Captain!" or "When Lilacs Last in the Dooryard Bloom'd," you're in for something wonderful.) Harriet Beecher Stowe, author of the ground-breaking novel Uncle Tom's Cabin, claimed Lincoln's writing deserved to be "inscribed in letters of gold"
For those of us readers and writers of Cactus Rose, Abe Lincoln has an important hand in enhancing the climate and culture of the 19th century, in addition to his role as the Great Emancipator. The Homestead Act he signed in 1862 "opened the West" and helped establish America's heartland, even as it tragically displaced native tribes. Settlers could claim 65 hectares, 160 acres or a quarter-mile section, as their own as long as they farmed and improved the land for five years. And if you've got your characters carving turkey on the last Thursday in November, you owe it to President Lincoln. He ordered government offices closed on November 28, 1861, for a local day of thanks. On that date, prominent magazine editor Sarah Josepha Hale wrote him a letter, urging him to make an official "national and fixed union festival" of Thanksgiving. His proclamation setting the last Thursday of November as a "day of Thanksgiving and praise" was dated October 3, 1863, perhaps an attempt to ease hearts and lift spirits after the horrific battle of Gettysburg a few months before. 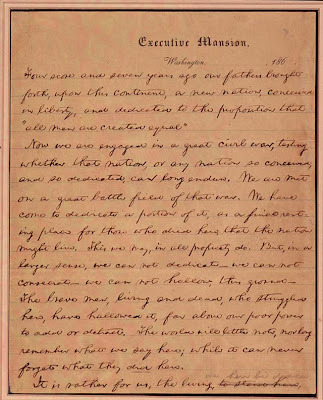 One year later, the proclamation letter written by Secretary of State William Seward was sold to benefit Union troops. 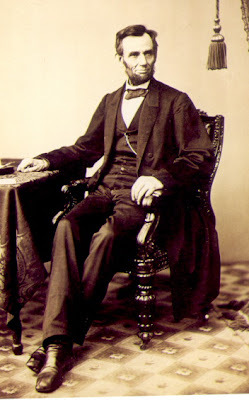 I found out some fun facts about our 16th president in doing my homework for this blog. 1. He was the tallest president at 6'4"
2. He carried letters, bills, and notes in his signature stove pipe hat. 3. He was the first president to have a beard. 4. He patented a system to alter buoyancy of steamboats in 1849. 5. He created a national banking system in 1863, resulting in a standardized currency. 6.He loved animals and had horses, cats, dogs, and a turkey as pets. His beloved horse, Old Bob, was part of his funeral procession. 7. He was the first president assassinated. Although President Lincoln suffered from deep depression, usually called melancholia at that time, he often invented jokes and funny sayings for family and friends. I'll leave off with several of my favorites. 1. If I were two-faced, would I be wearing this one? 2. Better to remain silent and be thought a fool than to speak out and remove all doubt. 3. Whatever you are, be a good one. Happy Birthday, Mr. President. And thanks for everything. I'm in the process of writing a time travel set in the old West in 1891. My heroine writes an article for the newspaper and goes in search of writing materials. So, it became necessary for me to conduct a little research on the topic. When I started school in the early 1950s, our desk still had ink wells and the pens we used were refillable by using a plunger type device. It could sometimes be a messy process and we often had ink smudged fingers and papers. In high school we graduated to the ink cartridges you dropped into the pen and then ball point pens. For my research, I knew my heroine would be using either a quill pen, which had it's own hollow channel, or possibly an early fountain pen. Steel nips for pens became common in the 1830s and soon replaced the quill pen. The oldest known fountain pen that has survived was developed by a Frenchman in 1702. 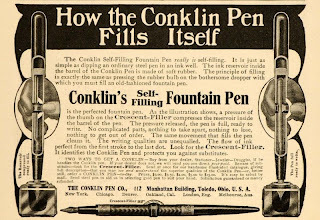 The first self-filling fountain pen was developed by John Jacob Parker in 1831 but early pens were plagued with problems--ink spills and problems that made them impractical for use. Louis Waterman is credited with developing the first practical fountain pen. He added an air hole in the steel hip and three groves inside the feed mechanism. This allowed the ink to flow more smoothly. 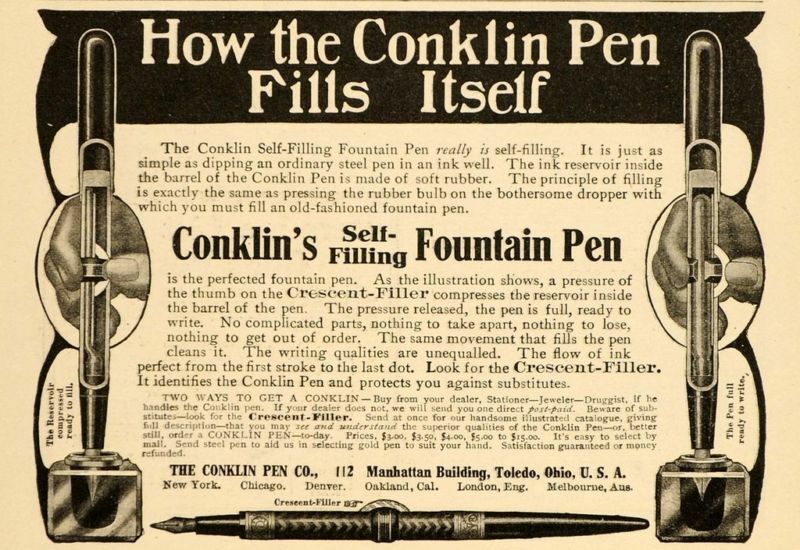 The most competitive part of the fountain pen industry was the method the pen used to fill the ink reservoir. Earlier pens used an eyedropper. Next came the flexible rubber sac that you squeezed the air out of allowing it to draw in the ink. A variety of other methods were designed with the lever filler by Walter Sheaffer being the design used most into the 1940s. The lever type pen is the one I first remember using. Then in 1950 the cartridges were developed though I don't believe they were readable available for a few years. Though ballpoint pens actually date back to the late 19th Century, they weren't exploited commercially. The first commercial ball point pens were made by Josef Lazio in 1943 in Britain and sales skyrocketed during WWII. They were more durable and could survive battlefield environments. They weren't introduced to the US market until 1945. I decided in my story the heroine wouldn't have access to a fountain pen so, she starts out with a quill pen. After a messy start she gives up and picks up a lead pencil. This story is a follow up story to A Law of Her Own. The scene is a common one in Regency romance: the young lovers, denied permission to marry, flee to Scotland to take their vows. Most of the action derives from the pursuit by the outraged parents to prevent the marriage. I don't know how many of these stories I read before I asked why did they go all the way to Scotland? Scotland is about 320 miles from London. Even on the Great North Road, the main thoroughfare from London to Edinburgh, the trip, at the average carriage pace of about 5-7 miles an hour (we’ll assume 7), twelve hours a day, would take about four days. And we’re not including stops to change the horses, eat, or other personal necessities. Why not run to the next town, find the nearest clergyman, and tie the knot there? The answer lies in the Marriage Act of 1753, also called the Hardwicke Act. This law invalidated marriages if either or both of the parties involved were under twenty-one and did not have the consent of the parents or guardians. The law’s purpose was to prevent scoundrels from eloping with heiresses for their money. Did it work? To some extent. But it also created a flourishing trade in quick Scottish marriages because the Hardwicke Act was law only in England and Wales. People over twenty-one also eloped. The Hardwicke Act required the calling of the banns for three successive weeks before a marriage could take place, as well as a formal ceremony in a church. Alternatively, one could purchase a special license from the Archbishop of Canterbury in London, which allowed a marriage to take place at any time, in any place. But a trip to Scotland was quicker than waiting three weeks, and cheaper than the special license, which cost five pounds sterling in 1811. Since a laborer at the time earned about 15-20 pounds a year, five pounds was an enormous sum for many. And the prospective couple would have to wait an unspecified time to receive their special license, if they went that route. The destination of choice for many eloping couples was Gretna Green in Dumfries and Galloway, the most famous of the Scottish towns for irregular marriages. But Gretna Green was not the only Scottish town that trafficked in quick marriages. Other Scottish border villages that had a flourishing trade in quick marriages were Coldstream Bridge, Lamberton, Mordington and Paxton Toll. More on these towns in my next post.